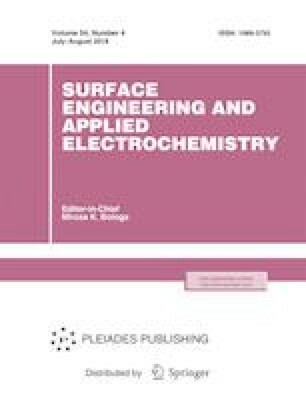 The paper deals with the both theoretical and experimental justifications of the formation of doubly charged ions (M++) of several elements mass spectrometry with inductively coupled plasma (ICP-MS). The efficiency of the formation of both singly and doubly charged ions with the lowest value of the second ionization potential was shown using the Saha equation and thermodynamic modeling. The results of theoretical and experimental studies performed with by ICP-MS are compared. The accuracy of the calculated results is proved, and the possibility of their use for predicting the efficiency in forming M++ in ICP-MS was demonstrated. Original Russian Text © T.K. Nurubeili, 2018, published in Elektronnaya Obrabotka Materialov, 2017, No. 4, pp. 53–59.